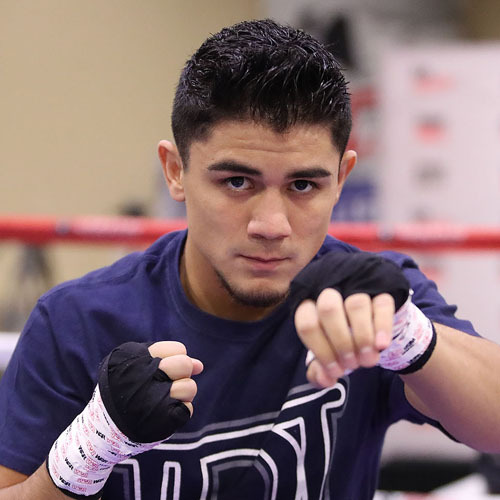 LOS ANGELES — Joseph Diaz Jr. and Jorge Lara are ready to whet everyone’s appetite for the superfight. 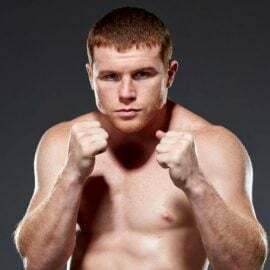 The WBC 126-pound title eliminator between RING-rated fighters will serve as the co-feature to Canelo Alvarez vs. Gennady Golovkin on September 16, it was announced by Golden Boy Promotions on Monday. A 10-round junior featherweight bout pitting Diego De La Hoya, the cousin of Oscar, against Randy Caballero also is on the card. 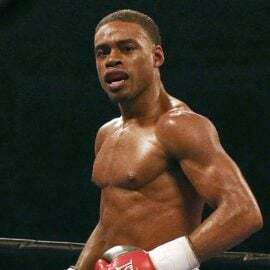 Lightweight prospect Ryan Martin will open the four-fight HBO pay-per-view telecast against Francisco Rojo. “I’m facing a guy that has tremendous knockout power,” Diaz, THE RING’s No. 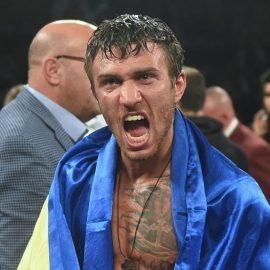 7-rated featherweight, told reporters at L.A. Live on Monday. ” … I personally believe when he fights me, he’s not going to be able to hurt me or faze me because he’s going to be facing a big 126-pounder. “JoJo” represented the United States in the 2012 Olympic Games but failed to medal. 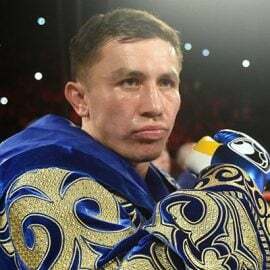 With his good looks and charismatic personality, Golden Boy could have a star on their hands if Diaz (24-0, 13 knockouts) can claim a title and keep on winning. The bout against Lara is the first step, and it doesn’t figure to be an easy one. 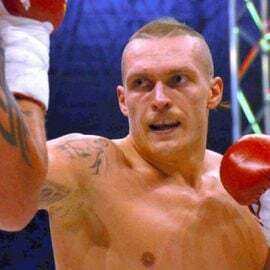 Lara (29-0-2, 21 KOs) possesses a wallop of a punch, highlighted by his first-round knockout of faded former champion Fernando Montiel in April 2016. The Mexican southpaw followed up with a stoppage of Mario Briones, and will enter his toughest challenge to date rated No. 9 by THE RING. Diaz-Lara is a worthy co-feature fight, one that deserves the attention and exposure Canelo and GGG will bring them. 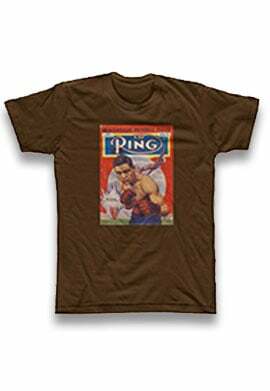 So, too, does the matchup between De La Hoya (19-0, 9 KOs) and Caballero, undefeated 122-pounders. Neither man has really been tested yet, but that should change with this outing. De La Hoya’s volume punching and aggressive style, while raw, is a lot to handle. Caballero, though, owns a vast edge in experience as a former champion. Caballero (24-0, 14 KOs) remains undefeated, but lost his 118-pound title after he missed weight by a mile for scheduled November 2015 defense against Lee Haskins. 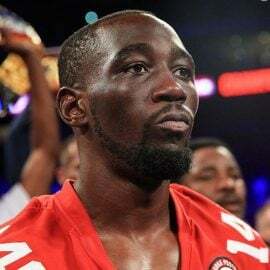 The Coachella, California, native hopes a victory over De La Hoya will lead him to an opportunity to become a two-division champion next year. “It was amazing. I’m world champion, everybody’s going to love me, this and that, I walk into Vegas, and I lost my title at the scale,” Caballero said. “Everything was just gone at the blink of an eye, and I witnessed it myself. … It just hurts really bad. But being on a card like this has helped me get my motivation back. I’m eager to come back. Canelo-GGG is a can’t miss fight, but the undercard figures to deliver plenty of action, too.